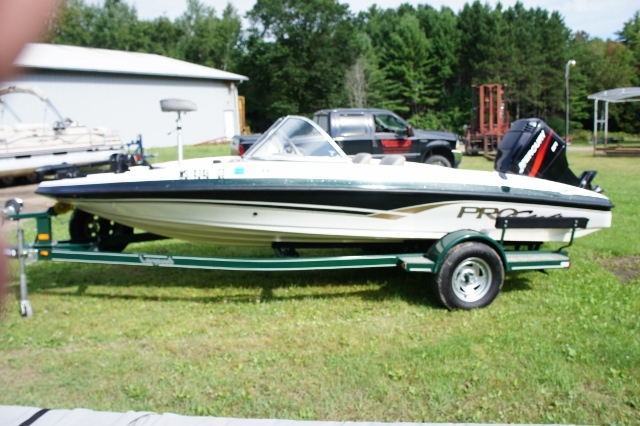 1994 Procraft Fish/Ski V-180C $5,500.00 17’0” Mercury 115 H.P. Mercury Outboard with the single axle trailer. This boat has been a treat for me. I’m moving and would like to sale this boat. I will show at my property or on Greers Ferry. I will include the new 75 lb thrust Motorguide trolling motor, several life jacket, paddles, fire extinguisher, anchor, light posts, cover, T top, skies and ropes, 3 point swivel tow stand, a large hot dog rubber tube and several other boat accessories. The boat has been kept inside and the trailer has new tires. 2003 Procraft 180 Combo, U13463This boat is in above average shape, with suntop, stereo, Mercury 200hp. EFI engine, hummingbird locator and trolling motor. It also has a pro-craft deluxe drive on trailer. A perfect combo of fishing and skiing. Fun for the entire family. Please call boat owner Dar at Home Phone: 501-723-4373 or Mobile Phone: 501-206-6116. 1994 Procraft FishSki V-180C $6,500.00 Fish and Ski 17'0" Mercury 115 H.P. Mercury Outboard with the single axle trailer. This boat has been a treat for me. I'm moving and would like to sale this boat. I will show at my property or on Greers Ferry. I will include the new 75 lb thrust Motorguide trolling motor, Eagle Magna III Fish Finder, several life jacket, paddles, fire extinguisher, anchor, light posts, cover, T top, skies and ropes, 3 point swivel tow stand, a large hot dog rubber tube and several other boat accessories. The boat has been kept inside and the trailer has new tires.